Situated in the middle of Europe, the Czech Republic is home to beautiful art and music, grand architecture, picturesque red roofs, and a never-ending supply of beer. While most tourists only visit the capital of Prague, there are so many other facets to this landlocked country that are fairly unexplored by most travelers. Rural areas are surrounded by rolling hills, hidden lakes, and old growth forests in which residents can enjoy the traditional country lifestyle of times forgotten in other parts of Europe. As the country’s economy continues to strengthen, so, too, has residents’ need for speaking English. Although the Czech Republic is constantly full of English speaking tourists, public schools, universities, and private language academies are still in need of native speakers to give their students the boost they need in order to compete in the global workplace. In this blog entry I will provide an overview of what its like to live and teach English in the Czech Republic and offer up some suggestions on how to find an English teaching job in this country. Most teaching jobs in the Czech Republic come from private and public schools with most school positions starting in September. Having a TEFL certification is important for teachers seeking to join the competitive ESL market in the Czech Republic. Qualified candidates possess both a Bachelor’s degree and a TEFL certificate. Students have high expectations of their teachers, and the material covered in a TEFL course prepares teachers to lead structured classes and teach specifics in English grammar. Teacher salaries in the Czech Republic can be paid on a salaried or per-hour basis. An average salary in a foreign language school ranges from about 18,000 – 24,000 Kc (about USD 1,000 – 1,300), where an average rate for a 45-minute lesson is around 200 Kc (about USD12). Keep in mind, of course, that the cost of living in the Czech Republic is less than the cost of living in many western European countries or the US. What should also be noted is there is also a big demand for private English tutors in the Czech Republic. These jobs can easily be found once you lived there and can keep you as busy as you like in your free time. While the demand for English in the Czech Republic is as high as ever, the tricky part for non-EU citizens wanting to work in the Czech Republic is that you must have a working holiday visa (also know as a trade license) to work there. For Canadians to obtain this visa you will need to fill out applications, have a criminal check done, provide evidence that you can support yourself financially and pay a large visa fee: 1000 Euros. There are also age limits for someone who wishes top apply for a working holiday visa; 18 -35. I'm 35 this year so the my window of going to teach English is quickly closing. As mentioned earlier the Czech Republic is home to a rich history, world class art and music, famous breweries, and a picturesque countryside. It is a very easy and hassle-free place to live abroad. The “come as you are” mentality seems to be a principal concept throughout the country, and for many ESL teachers this relaxed atmosphere has made it easier to find what they were looking for in life. Housing and living costs are generally less expensive than western Europe, however the prices in Prague have been steadily increasing. The Czechs themselves, may come off at first as a bit reserved, but as you get to know them, this becomes less the case. They are very open-minded and welcoming to English teachers. 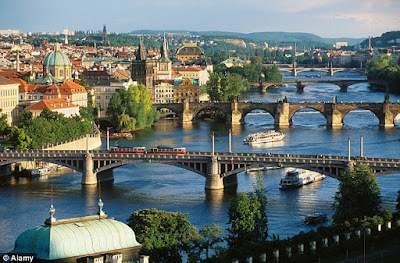 Travel in the Czech Republic is also much cheaper than its neighbors and very efficient. This country's position in Europe, also makes it very easy to travel to all of Europe, without long flights or expensive tickets. 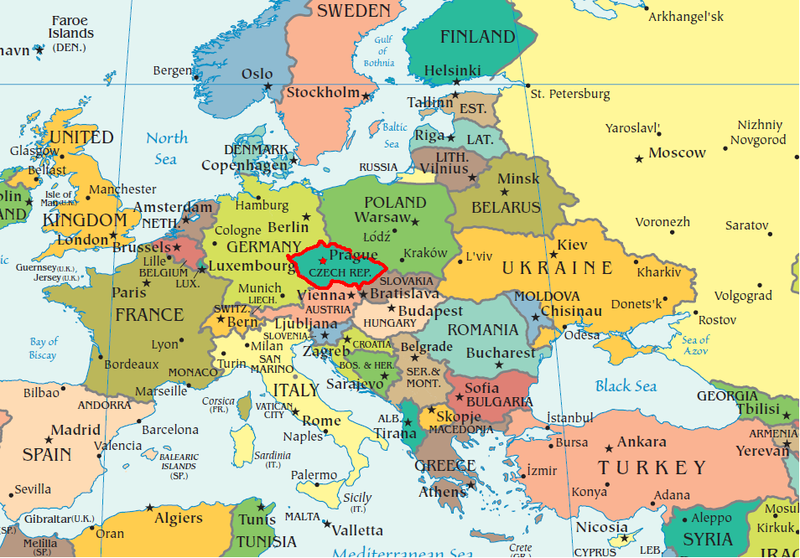 Although finding work in the Czech Republic may not be as easy to find as some other countries I've highlighted in my blog, and the process of getting a visa more difficult, personally I'd still love to teach there. Though I've only met a few people that did work there, their experiences were all positive. The people, culture, surroundings, etc have all received warm reviews. If you are looking for a job abroad then do not overlook the Czech Republic. It looks great. Thanks for your blog and keep posting more informative content!! If you have a passion for enriching others’ lives through teaching, coaching or mentoring, we have an opportunity for you i.e. English Tutor Jobs at home. Contact us for more details.